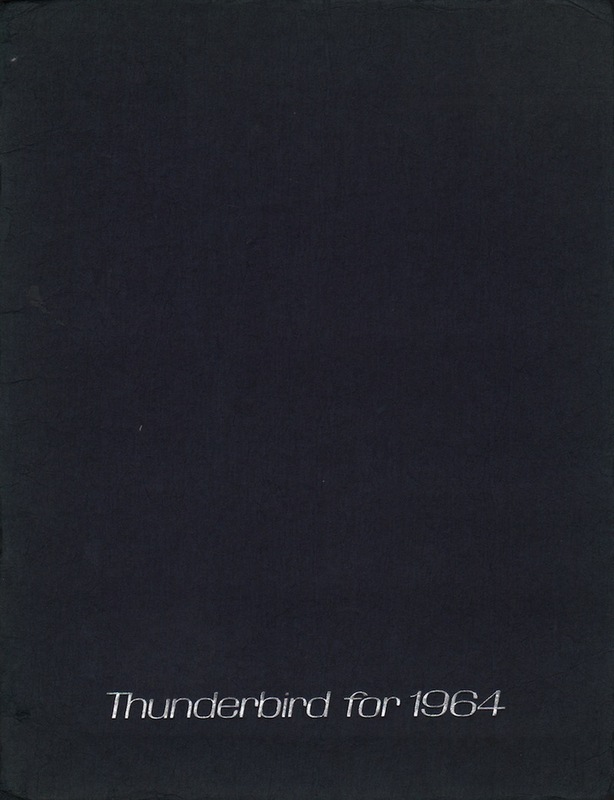 Sales brochure for the 1964 Ford Thunderbird. This is a cool brochure, it has heavy, blue, handmade looking paper cover and back. There are tissue paper cover pages inside protecting the high resolution color images. The 1964 Thunderbird has a 300hp 390ci V8 engine, automatic transmission, power steering and brakes standard. A convertible body style is also offered. Standard equipment and options are shown on the last page. Brochures are presented for research use only. Company marks, emblems, and designs are trademarks and/or service marks of Ford.